Are you looking to step up your watch game? Some watches like Rolex’s are known for retaining their value and selling a used Rolex watch at the best price can be tricky. If you’re looking for a reputable and experienced jeweler or pawn shop, where you can get a free quote on the value of a Rolex, or if you want to sell a Rolex and don’t want to bother haggling with independent buyers, or even if you simply want to buy a Rolex at a great price you have found the right place. What about If you have a used Rolex and wondering how much it’s worth… or maybe wondering where the best place is to sell your Rolex, you’re in luck! We buy High End Watches in and around Ontario CA. 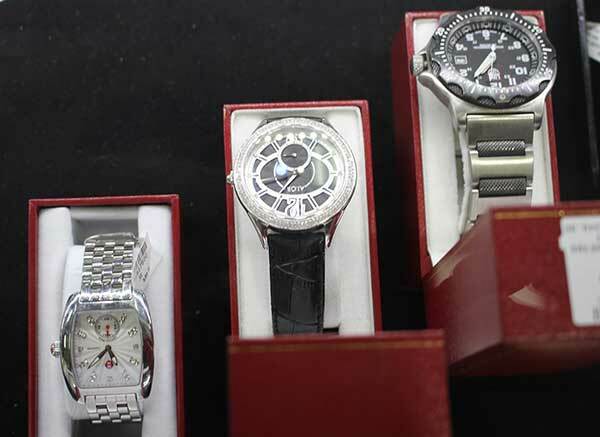 Since we specialize in buying, selling, and loaning on luxury watches we can help you get the best price for your watch. As California horology experts, Central Mega Pawn also buys hand-crafted vintage time pieces and antique pocket watches. If your timepiece has significant value on the estate jewelry and watch market, Central Mega Pawn will pay you our highest premium. Central Mega Pawn also has a ton of other watches for sale in our store if you’re looking to buy a new or pre owned Rolex watch. We have over 15 years of experience, offer competitive prices, and buy/sell any model of Rolex watch. Some of the watches we deal with are: Rolex Datejust, Rolex Yacht-Master, Rolex Submariner, Rolex GMT-Master, Rolex Explorer, Rolex Deep-sea, Rolex Sea-Dweller, Rolex Day Date, Ladies Rolex Watches and Many Other Models. Call (909) 627-9622 now or stop by our shop on Central Ave in Ontario and see why more people are choosing us for their designer and high end watch needs!